For the love of all that is good on this Earth does anyone have a fix for this? 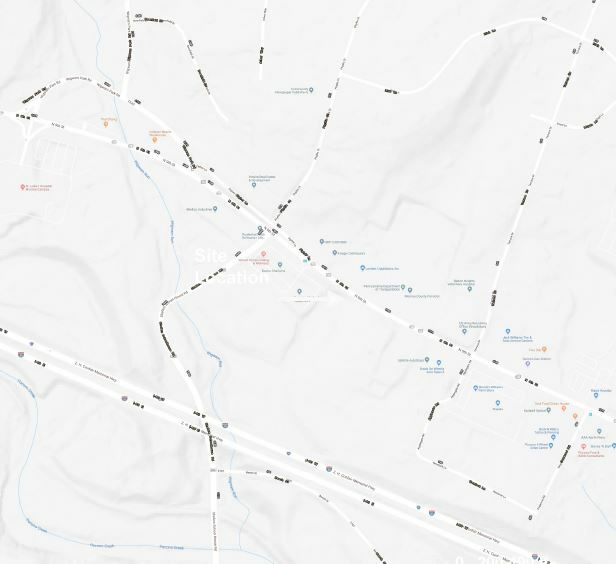 When I export my print composer map in anything greater than 120 DPI the street labels from the ESRI Transportation basemap shrink to unreadable sizes. This also happens with Google Maps layers and I'm going to guess others as well. This just doesn't make much sense to me. Does anyone have a legitimate fix? I see some similar questions around here but with no good answers. Also, fair warning, my experience with coding is limited to a college class that I dropped after 5 days... So please, if you have an answer, don't make it too complicated. I have seen stuff about XML files and XYZ tile thingies and none of that has worked for me.... I just keep getting blank basemaps and/or errors. To anyone who can solve my issue: you will be rewarded with my undying gratitude. How to increase label size of OpenLayers plugin basemap layers? How to make a map in Qgis with a background of google maps? How can I show the details from the highest zoom of OSM webmaps in QGIS for printing? This is a limitation of base layers from WMS services. They're rendered as tiles, which means that the size of the labels is baked into each zoom level. When you increase the resolution, the server provides you a more zoomed-in tile, which has: (1) higher resolution and (2) smaller labels. You can't get (1) without (2). Reduce the dpi of your export. This requires some trial and error to find the highest dpi that will still give you the higher zoom level. Import the WMS layer as an XYZ tile layer. The basemap will still have a low resolution, but the other elements in your map can have as high a resolution as you want. Next, open the Browser panel, right click on "XYZ Tiles" > New Connection. Paste the URL you found before. Set the max zoom level, and give the layer a name like "This Basemap max zoom 16". Import the layer from the browser. It takes some trial and error to find the right maximum zoom level for the scale at which you're making maps. Another workaround is to use a basemap without labels, and add the labels from another source. If you search around, you may find a WMS basemap which is just label, so you can control the label size independently. For example, through the QuickMapServices plugin you can get a layer called "ESRI Boundaries&Places" which has place names (cities, states, parks, natural features) and political boundaries, but no street names. Or you can manually add the labels you want. It's a trade-off between the convenience of a pre-made basemap versus having control over every aspect of your map. Not the answer you're looking for? Browse other questions tagged qgis labeling basemap or ask your own question. Fixing tiny microscopic Map font size on UHD? QGIS print composer error due to Java script problem! 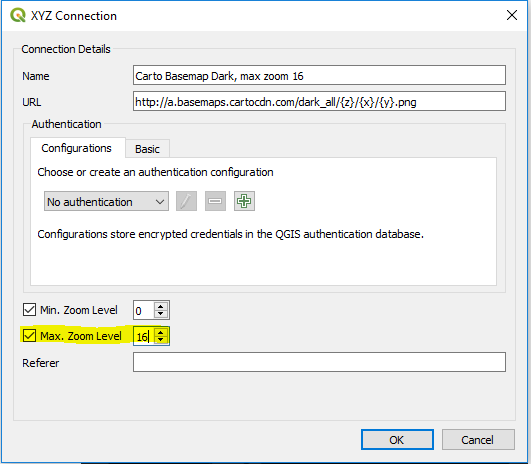 How to insert a superscript label in QGIS 2.14 print composer? 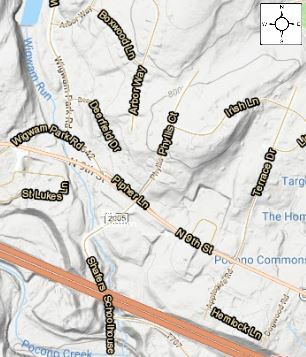 How to maintain OpenStreetMap labels/details (from QuickMapServices) when exporting from QGIS?